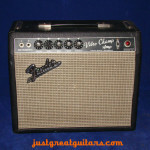 This is the ‘go to’ Fender amplifier for the musician who is seeking outstanding tone in a small package. 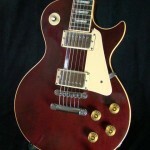 Sonically it is almost without parallel. 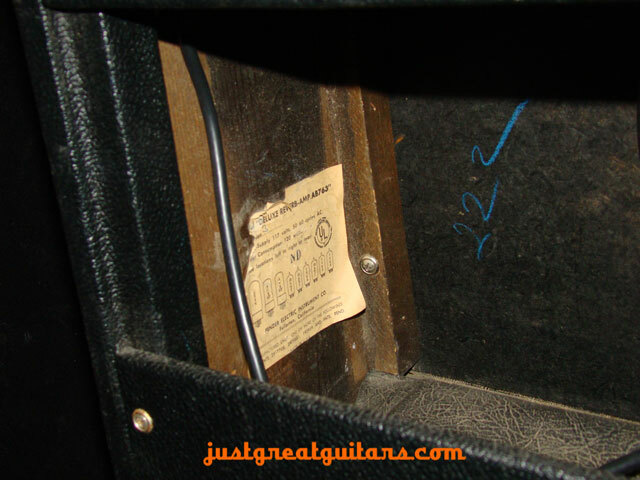 When you plug into a Fender Deluxe Reverb you know immediately why it has the reputation it has. 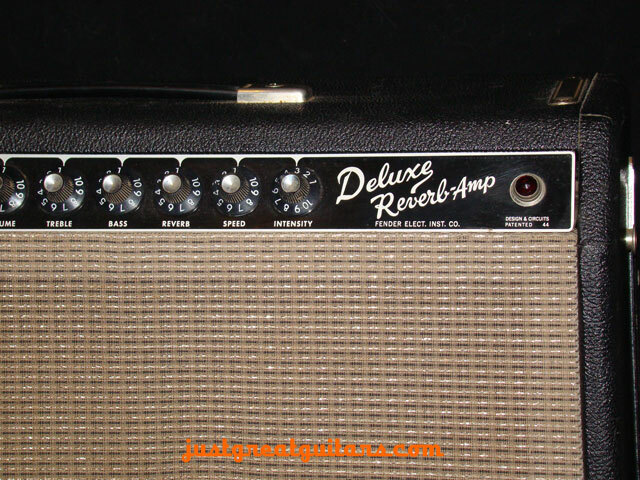 Anytime there is a poll amongst guitarists for an all time ‘top five’ of guitar amplifiers, the Fender Deluxe Reverb invariably appears in the list. 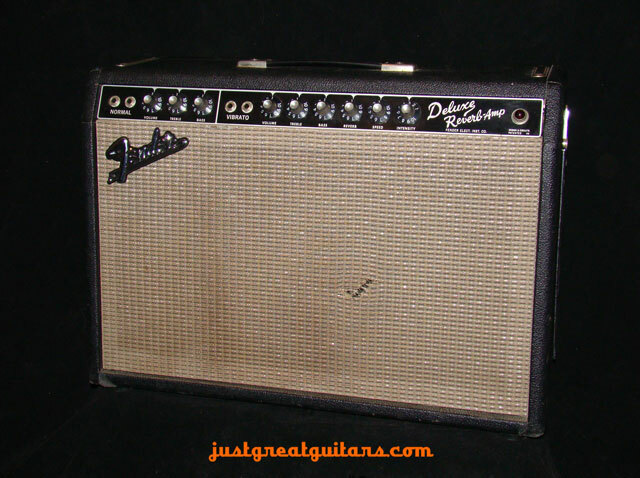 First introduced by Fender in 1963, the Deluxe Reverb was immediately successful with even the most discerning guitar players. 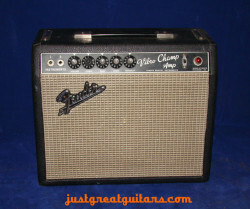 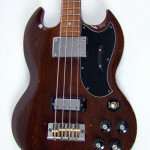 The now much sought-after black face period of production lasted until 1967 when the amplifier was cosmetically altered to feature a new silver face design. 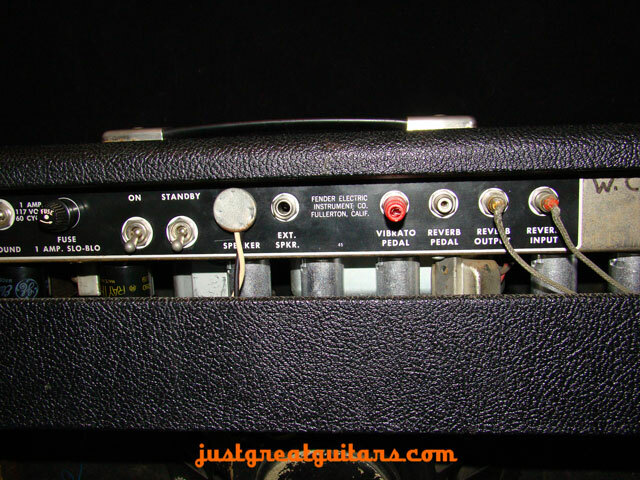 Whilst the later silver face amplifiers are excellent in their own right, it is the black face models that generally attract the greatest interest from tone hounds and collectors worldwide due to their distinctive tonal circuitry. 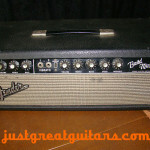 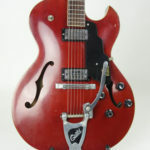 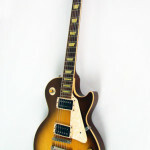 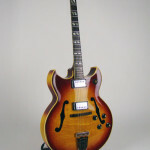 The built in reverb and tremolo circuits are considered classic guitar tones and have been much copied by both amplifier and effects pedal manufacturers over the years, which is a testament to their sonic quality. 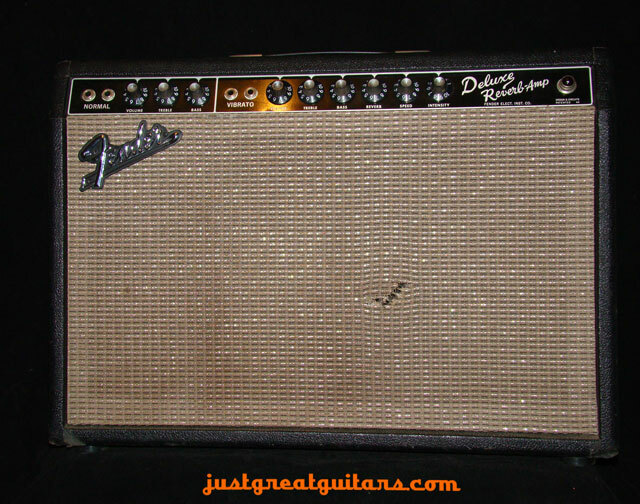 This classic 22watt combo amplifier not only delivers the glassy clean sounds long associated with Fender tube amps, but also offers up some of the finest overdrive and ‘break-up’ tones you will ever hear from a tube amplifier. 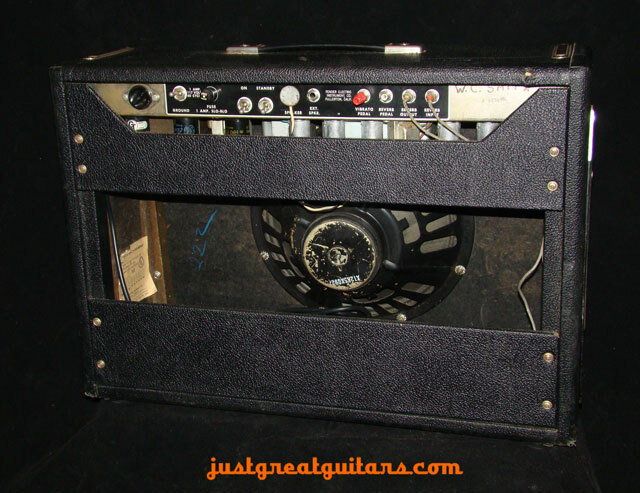 This amp is in very good condition throughout with only a small tear in the front grill cloth and some minor surface scuffing. 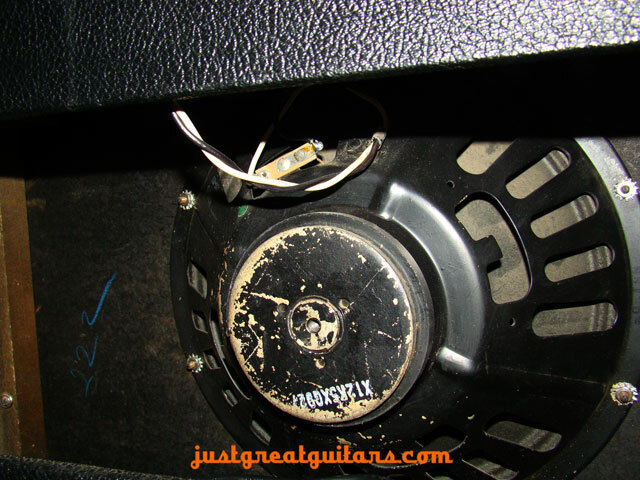 The amp has also been fitted with a new output transformer and mains cable. 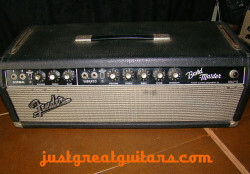 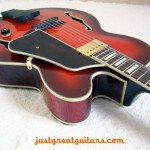 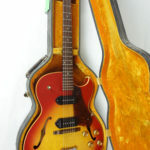 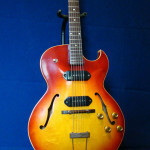 It sounds as good as it did when it was made in 1964. 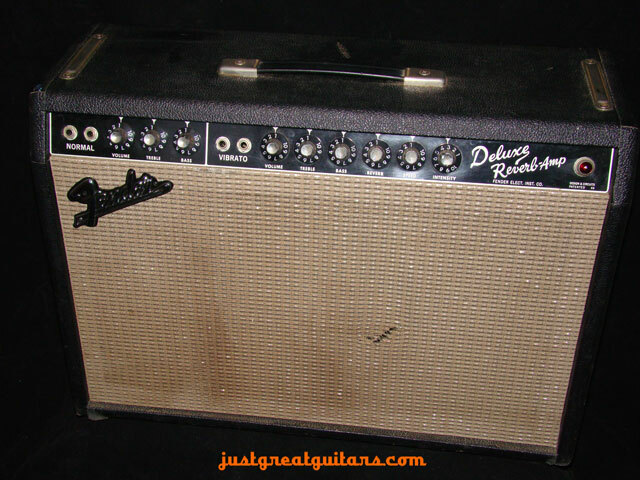 The portability and sheer sonic versatility of the Deluxe Reverb have long made it a studio favourite for session guitarists. 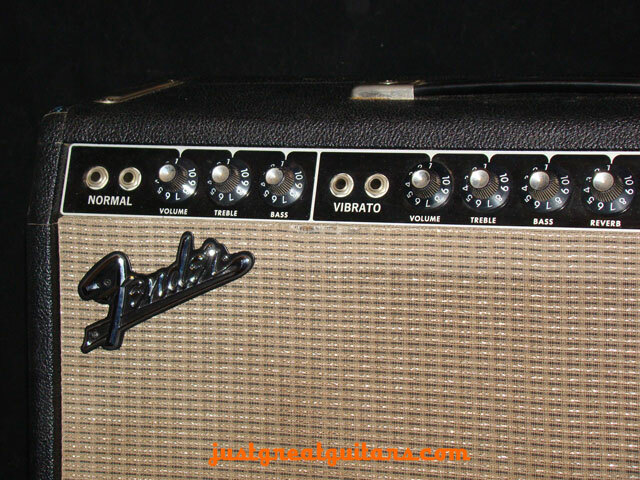 As a ‘go to’ amplifier for the club musician who is seeking outstanding tone in a small package, it is almost without parallel. 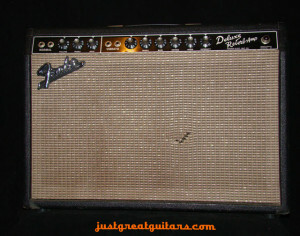 When you plug into a Deluxe Reverb you know immediately why it has the reputation it has. 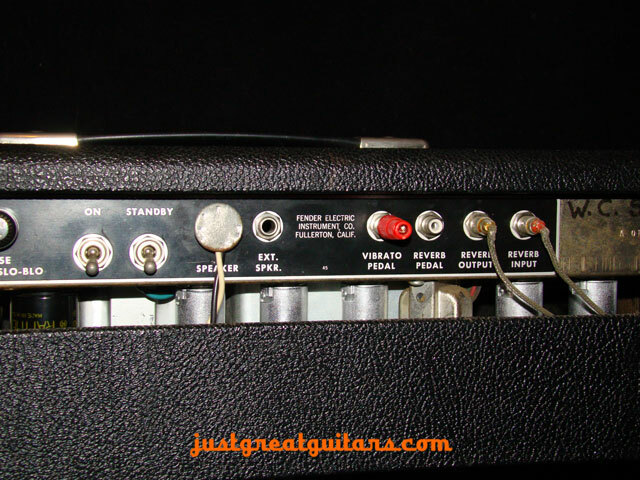 Not many amplifiers can truly be termed legendary, but hit your first chord through this and you’ll hear what all the fuss is about.